Christmas is a season that brings out the best in many people. People tend to be more generous and friendly during the holidays. And generosity is good news for many people as it blesses immensely, especially if they’re in need. 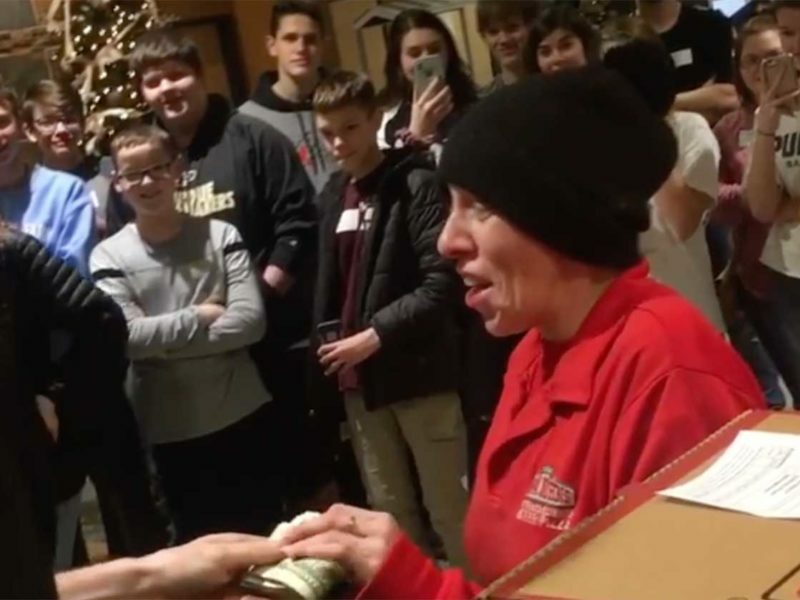 The youth group at Northview Church in Lafayette, Indiana (USA) chose to bless their pizza delivery woman. Suzanne was delivering pizzas to the 42 teens and adults. The youth pastor, Aaron Crull, had told his youth group that he would pay for the pizzas if the kids would pay the tip. It was an incredible Christmas miracle for Suzanne, thanks to the teens and adults of Northview Church!